Bentley Mulsanne Performance, Engine, Ride, Handling | What Car? 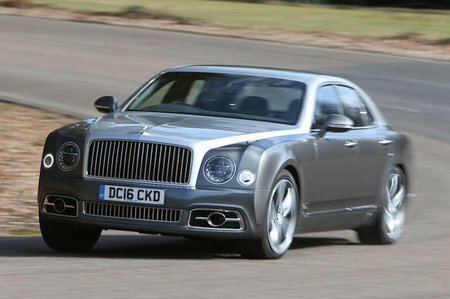 The Mulsanne is an epically refined beast. Thanks to foam-filled tyres, even over coarse surfaces there is barely any road noise at any speed, while at 70mph just a hint of wind noise from around the door mirrors disturbs its – and your – inner calm. Accelerate hard and the big twin-turbocharged 6.75-litre V8 engine is noisier than the silky V12s in the Roll-Royce Phantom and Mercedes-Maybach S600, but it’s a pleasant, throaty rumble that you’ll enjoy listening to. And when you want to cruise, that rumble recedes obligingly into the background. The standard version may not have the added power of the sportier Speed variant, but it’s still quick. Put your foot down and the long bonnet rises as the Mulsanne accelerates at a thundering rate, slipping smoothly through its automatic gearbox’s eight speeds as it pulls you along assuredly. There’s no need to drive it hard, though; with so much oomph to call upon, it’ll happily haul you from low revs to make relaxed, effortless progress. And of course, if that’s not enough, then the Speed version throws another 25bhp into the mix, making 530bhp in total – enough to make this two-and-a-half-tonne behemoth catapult from 0-62mph in just 4.9sec, which is as quick as many high-powered sports cars. Around town, the Mulsanne’s sheer size makes it feel rather cumbersome, and if you try to drive it quickly along tight and twisty B-roads there’s an unnerving amount of body roll – even with its air suspension in the firmer Sport setting. The sportier Speed model is better tied down but the difference is marginal, although it does feel wieldier than the bigger Phantom. Find a wider, more open road and the big Mulsanne feels more at home. 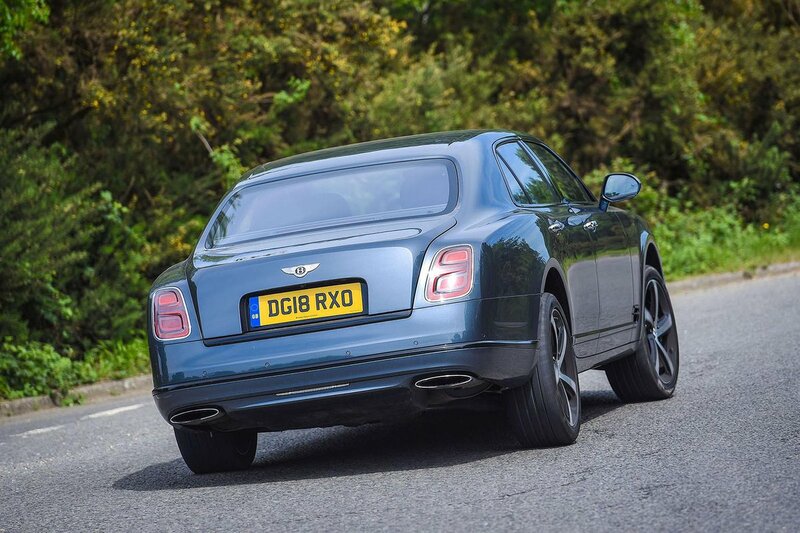 Now you can pick up the pace, which brings about more reassuringly weighted steering with enough precision to place the Mulsanne where you wish with unexpected ease and lean on the plentiful grip from its large tyres. If you switch the suspension to Comfort, the ride at speed is generally sublime, the Mulsanne’s sheer enormity seeming to pound even the most unseemly surfaces into submission. Mind you, it can still thud a bit around lumpy town roads, so can't quite match the 'waftmatic' serenity you can rely on a Phantom to produce. And if you really value ride quality above all else, avoid the firmer Speed model that can be inappropriately jerky on occasion.